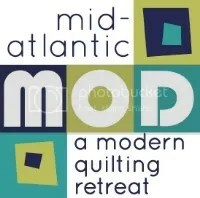 Need something quilty to do this Sunday, January 10th? Visit the Newark Museum! They have a fantastic program called Second Sundays. For the price of admission to the museum, there are lectures, performances, artist-led tours, demonstrations, workshops, music and brunch. Stop by for the artist demonstration and the lecture by two wonderful quilters. There is also a Family Gallery Program called Crazy Quilt. Check it out! Thanks for highlighting this event, Margy!